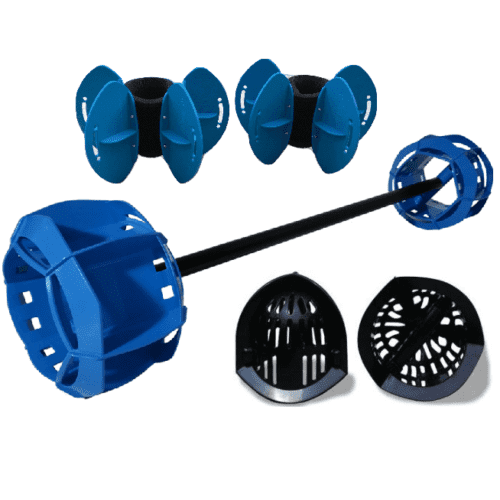 This popular package includes THREE sets of different resistance levels of upper body bells as well as TWO sets of our new ultra comfort lower body fins, making it the ideal package for people of all levels and abilities wanting to progress their training and maximize the benefits of working out in the water. 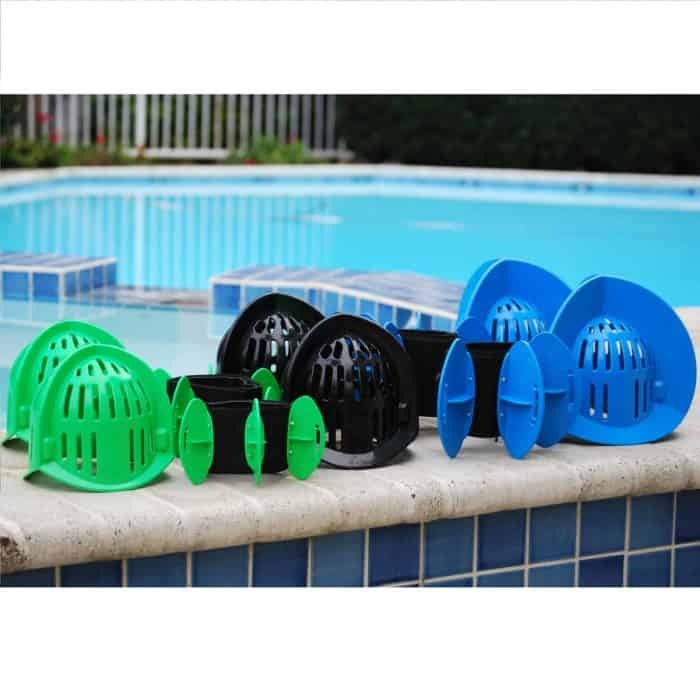 There is no other aquatic exercise equipment in the world like “The Total Package” from Aqualogix. 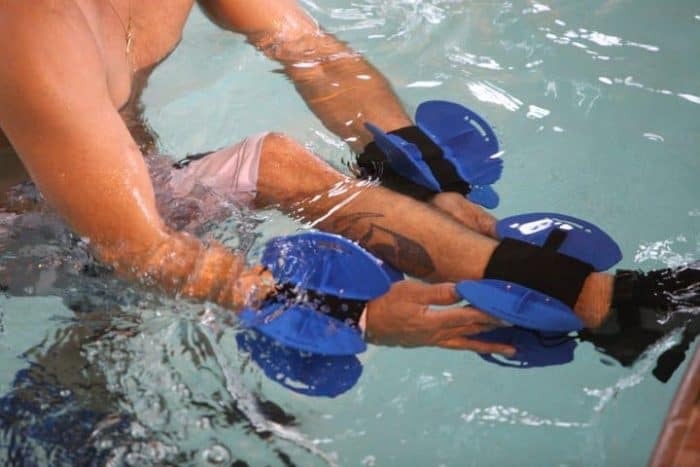 Aqualogix provides users with the ability to go through progressions and regressions, essential to maximizing the benefits of any pool exercise program. 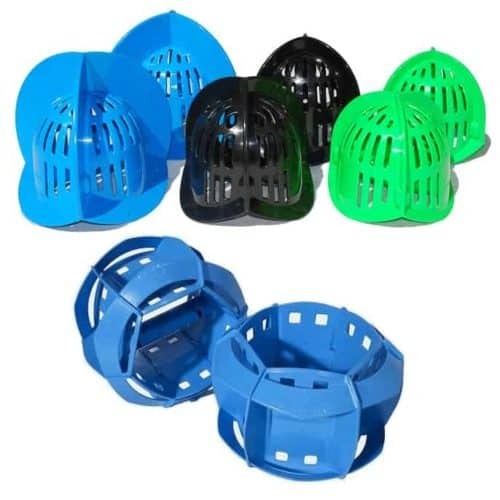 Aqua Bells are available in high speed, all purpose, and max resistance. 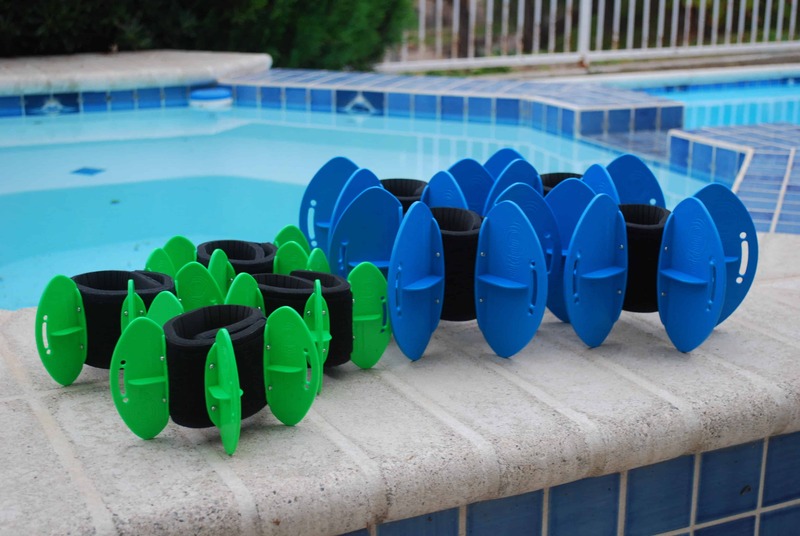 Aqua Fins are available in High Speed and Max Resistance. They attach as a super comfortable cuff on the ankle to provide lower body resistance in all planes of motion. They can be worn on the wrist to provide hands free upper body resistance. This benefits users with hand or wrist injuries and limitations or in conjunction with the bells for added resistance. Turn your pool into a gym with the Aqualogix Total Package. Also includes the Hydrorevolution Total Body Workout PDF download. *The Medium Mesh Duffle Bag will hold the Total Package. Order below for $10 the training bag.